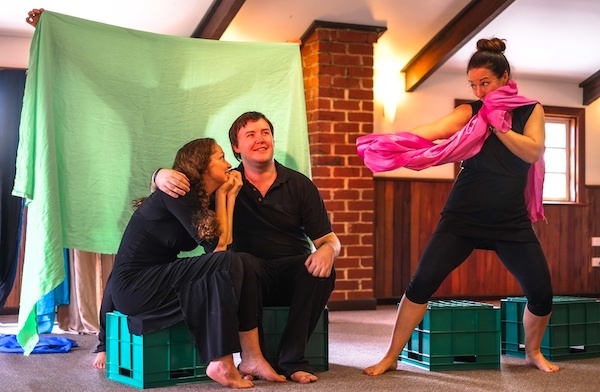 Playback Theatre brings to life the personal stories within your workplace or community for you to reflect and enjoy. It is a dynamic inspiring way of engaging with your people to bring them closer together with heart, humour and honesty. Email us on perthplayback@gmail.com and leave your contact details to be sent an eventbrite link for any of these events. We will provide a fun, active and safe way for you to participate, if you choose. As part of our rehearsal approach we will demonstrate some of our playback “forms” to you. Our main aim in Playback is to honour the teller (the person sharing their story), which means listen respectfully, don’t embellish your own ideas onto their character, and don’t judge them if you don’t agree with them. Bear in mind that our rehearsal offers us time to reflect, and deconstruct what occurs, so is different from a polished gig.